OMAHA, Neb. (KMTV) — The Flood of 2019 has hit everyone from homeowners to farmers to small business owners. While people may be familiar with federal agencies like FEMA that help out during disasters, not everyone is familiar with some of the other agencies that can help. Business owners can seek help from the U.S. Small Business Administration, which has representatives in Nebraska and Iowa. 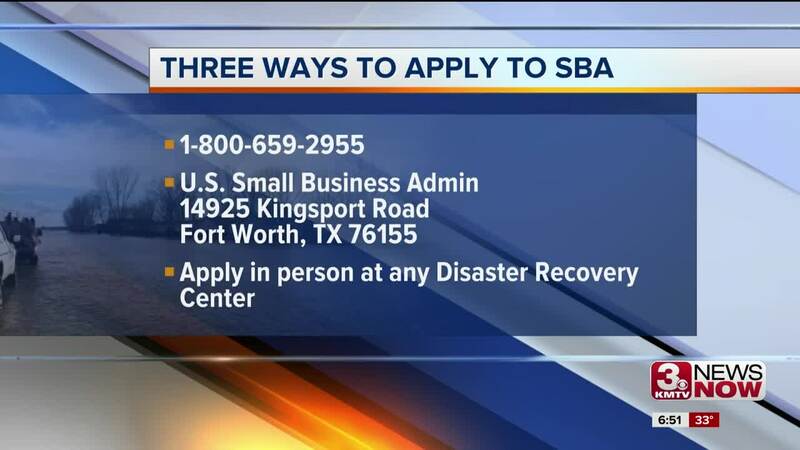 3 News Now anchor Maya Saenz sat down with the SBA's Roger Busch to talk about what the agency can do to help flood victims.